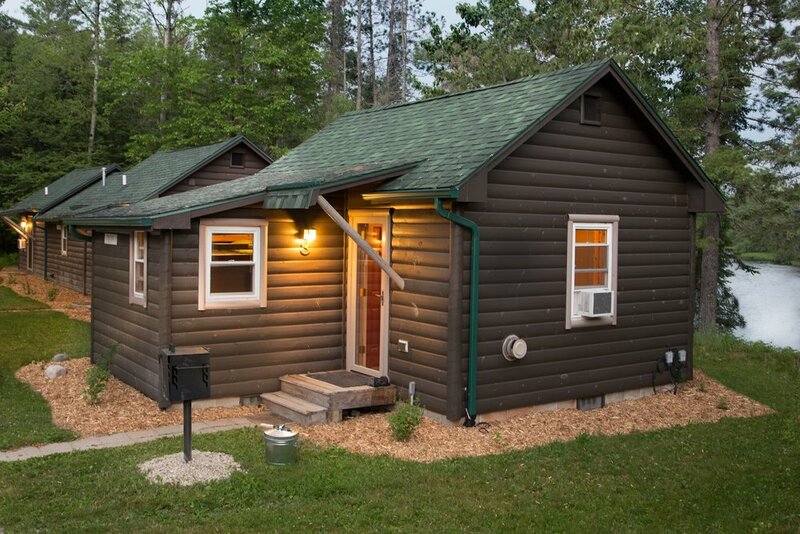 Cabin 2 and 3 are mirror images of each other. Cabin 2 is the Brown Drake. Cabin 3 is called the Hex. 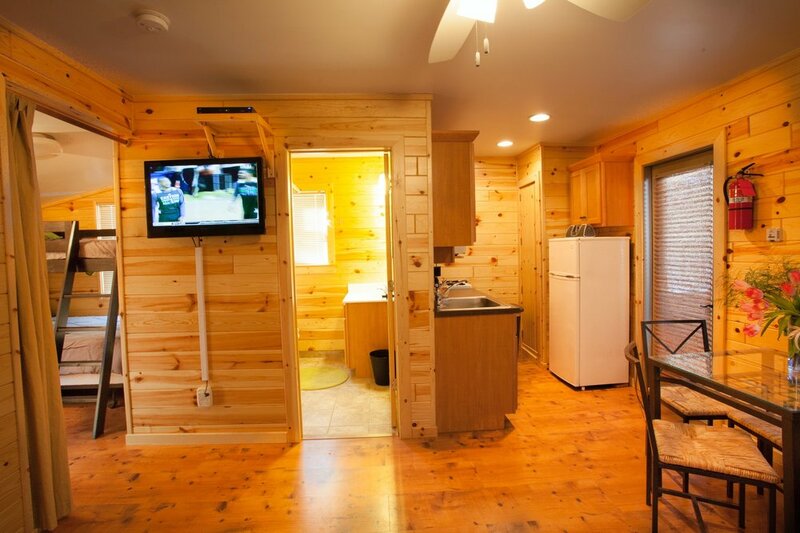 These charming little cottages have 2 televisions each, one in the living room and one in the bedroom. Everyone will be happy. One thing you will find in every cabin is a great, clean, efficient bathroom.